Discussing Personal Injury Protection (PIP) | Craven, Hoover, & Blazek P.C. 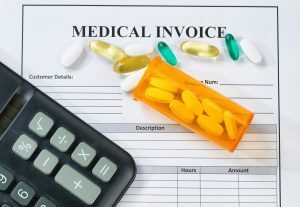 In the past weeks, we have discussed several facets of personal medical insurance coverage and liabilities, including medical payments coverage, personal umbrella policies, and personal injury protection. We mentioned that Indiana is a tort state, so additional insurance policies like the aforesaid are not mandatory by law. Nonetheless, they are wise insurance policies to purchase. Continue reading to learn more about personal injury protection (PIP) and how it relates to auto accident insurance coverage. Personal injury protection insurance is a type of medical payments coverage for drivers and passengers who are injured in a motor vehicle accident. Under this policy, all or a portion of medical expenses and hospital bills (driver and passengers) are paid for no matter who is to blame for an auto accident. No-fault accident states require this type of insurance coverage, but Indiana is not a no-fault state, it is a tort state. For this reason, Hoosiers are not obligated by law to obtain PIP coverage to legally operate a vehicle. Although most Indiana auto insurance policies have a degree of medical expense coverage, and some medical insurance policies cover auto accident injuries, many drivers can benefit from additional coverage by purchasing a PIP plan. If medical expenses exceed insurance coverage limits, a person must pay out-of-pocket for the remaining bill. With a PIP plan, these superlative expenses are covered for both the driver and their passengers. PIP plans can vary in deductibles, pay limits, and coverage. Depending on the state you live in and the type of coverage you choose, your policies details may vary from another’s. Personal injury protection insurance can cover medical and hospital bills, disability benefits, lost wages, and in some cases, even death benefits. Call your medical insurance carrier to inquire more about PIP coverage options in your state. If you were recently injured in a motor vehicle accident that was no fault of your own, contact a car accident attorney for information about your legal rights. You may be entitled to certain compensation for your damages and losses. Call Craven, Hoover, and Blazek P.C. at 317-881-2700 for information about car accident injury claims in Indianapolis, Indiana. Personal injury attorneys Daniel Craven, Ralph Hoover, and Keith Blazek are happy to answer your questions about filing a car accident injury claim in Indiana. We offer free initial consultations and never collect lawyer fees unless we prevail for you. Call 317-881-2700 to schedule a consultation with a licensed car accident injury attorney at Craven, Hoover, and Blazek P.C. today. This entry was posted in Auto Accident Injury and tagged auto accident attorney indianapolis, car accident attorney Indianapolis, car accident injury attorney, file a personal injury claim, Indianapolis Personal Injury Law Firm, Personal injury protection insurance, PIP Insurance. Bookmark the permalink.